You can find all purpose cleaner made with a citrus-based formula that leaves a refreshing scent or heavy-duty options for cleaning baked-on dirt and grease. 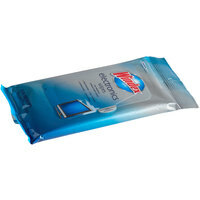 These all purpose cleaning products come in aerosol, liquid, powder, or spray forms. Many of our liquid cleansers are concentrated, so you can dilute them to the exact amount you need for cleaning large areas. Some products are even eco-friendly to minimize harm to the environment! Also make sure to check out other great items from Advantage Chemicals, Noble Chemical, 3M, Arm & Hammer, Duck, Elmer's and Fantastik. All purpose cleaner is great for removing stains, disinfecting surfaces, and cutting through grease on your equipment, work areas, and floors. Choose from all types of chemicals from gum removers to vandalism removers. We carry ready-to-use chemicals as well as concentrated solutions that you can dilute and use to mop floors. For more foodservice cleaner options, take a look at our hard floor cleaning chemicals, wet mop heads, and vacuum cleaners. 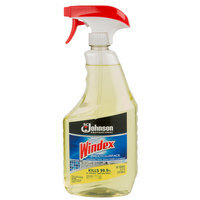 If you're wondering where to buy windex all purpose cleaners, we have a large selection of windex all purpose cleaners for sale at the lowest prices.